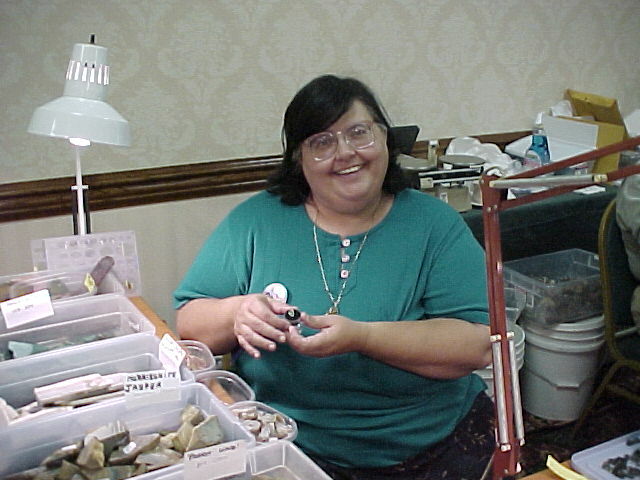 The 1999 AOS Opal and Gem Show was a great success!!! A good turnout, with great a selection of dealers, made the event a special time. Many opal dealers were present. A number of informative opal symposiums were also presented. 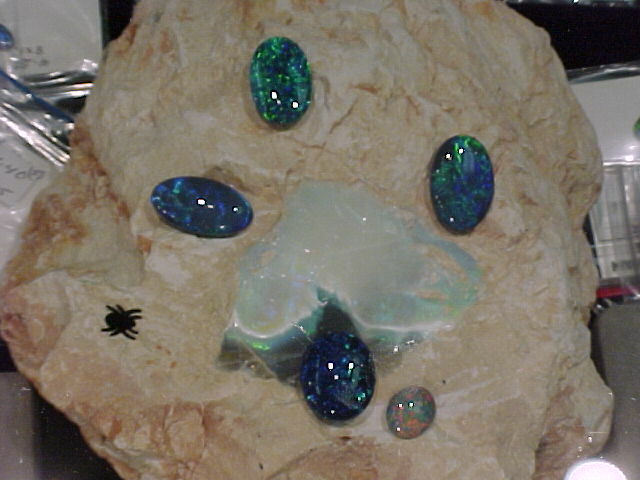 Here are some Black opal beauties from Tikka Opals.Also, some fine examples of fire agates were present. Here is beautiful gem called "The Solar Flare", from Lightening Ridge. One of the highlights of the show was the presentation of a lifetime American Opal Society membership to Dr. Gerald Carey. 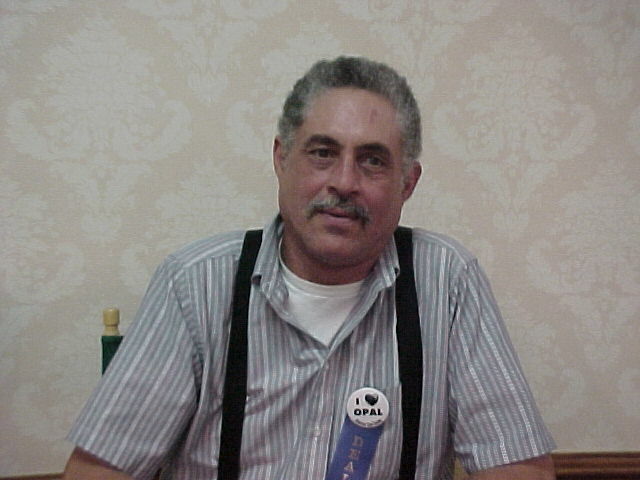 Jay Carey has been with the AOS for years, and is responsible for keeping to together for a number of them. 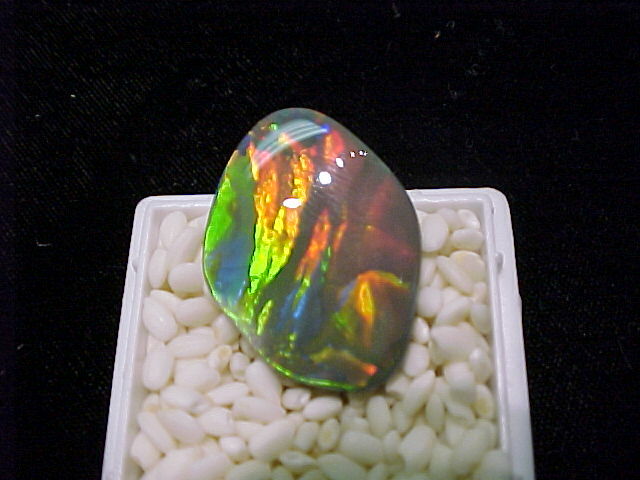 His opal expertise, unselfish dedication to the Society, and pleasant demeanor are greatly appreciated by the Society! 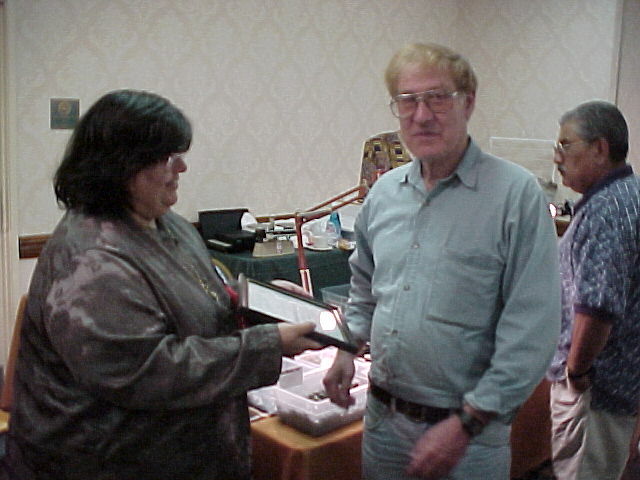 Show here is AOS President Carol Bova presenting Jay his Lifetime Membership. Also Mike Kowlasky, Jim Pisani, and Wes Roth are present. 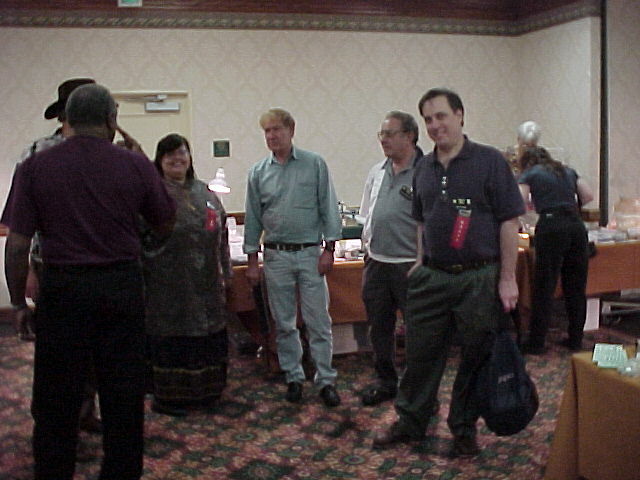 AOS President Carol Bova is shown with some of here wares, along with husband Murray and AOS officer Fran Roth. Board member Bob Dixon shows his expert opal evaluation skills. 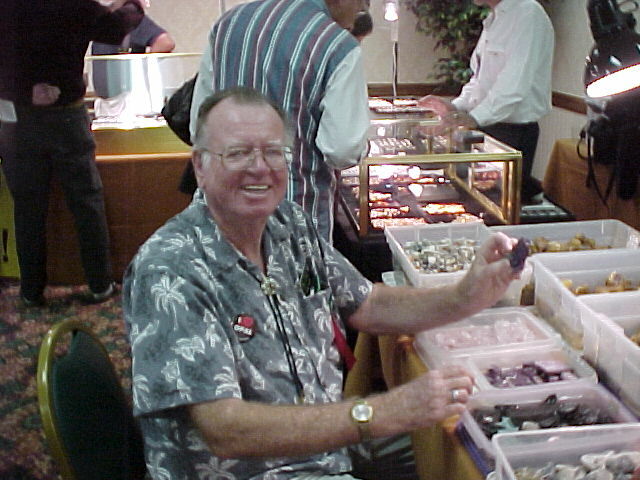 Stan McCall, AOS board member and AOS workshop manager, is running the booth for Lapidary International. Greg Howell of Howell's Quality Gems had a great spread of all things opal. 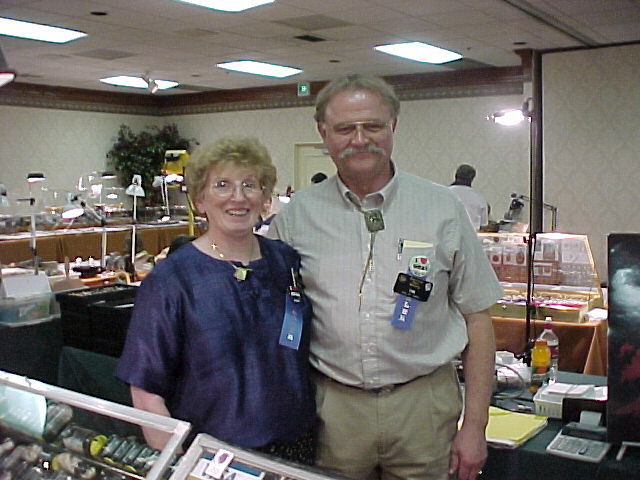 Tim and Barbara Thomas of Opal by Tibara had a great presentation along with Barbara McCondra of Outback Gems, with some great displays of Yowah nuts, pictured here with AOS Vice-president, Mike Kowalsky.